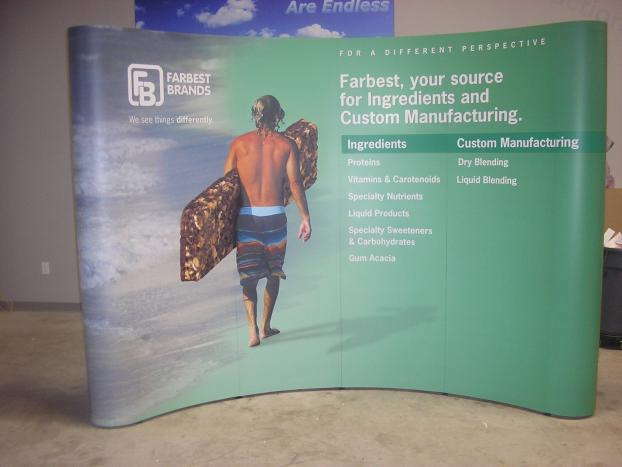 Having an attention-grabbing, portable trade show display is an important aspect of any business’ marketing strategy. At SpeedPro, we use our state-of-the-art printing technology and industry-leading materials to create memorable graphics and accessories that can convey your brand with professionalism and clarity. We’re prepared to work with you throughout every step of the process until we get the exact marketing products you have in mind. We’ll create stunning trade show displays that will place your business ahead of the pack at any event! Throughout any of SpeedPro’s 130-plus studios in the United States and Canada, there will always be one common theme: We don’t like to say “no” to any request. We’re the biggest large format graphics producer around, and we aim to do our work the right way every time. 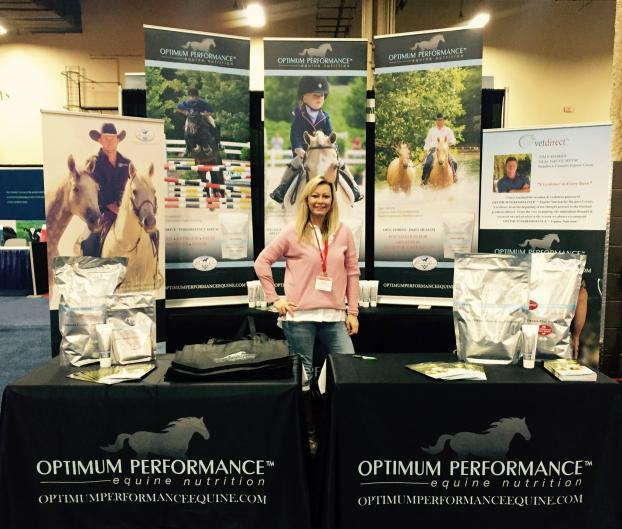 We’re a one-stop solution for your needs, and pop up trade show displays are no exception. When you come to us, we’ll discuss your needs and requirements, and from there, we’ll go through our catalog to pick out the best options for you. No matter what you choose, we’ll strive to deliver an unparalleled degree of flexibility and durability in the final product. Banner stands: Use retractable banners to make a big statement that easily travels with you. You can choose from a large range of materials, sizes, styles and models. The banners can be single- or double-sided as well. Stands are available in retractable, telescopic and spring-back styles, and the three models include economy, standard and premium. Hop ups: Hop ups are display kits that hold large fabric graphics. Because they’re lightweight and require no tools, these solutions are ultra-portable ways to draw in potential customers. Tents: When the need to take your display outside arises, use a large, branded tent to complement your other graphics. Large print and bright colors make them easy to spot, and they offer protection from the weather. You can choose from three styles that come in a variety of sizes: tubular, popup and inflatable. 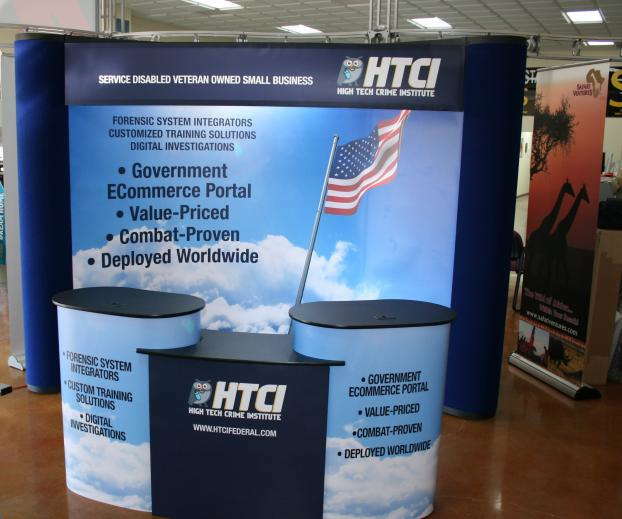 Backlit displays: Give your trade show display backdrop a dramatic and vibrant look with a backlit display. Unlike front-lighted displays, backlit displays use a frame and LED lamps to light up a fabric graphic overlay. Use the frame and lights over and over again and still be able to change the message by getting multiple fabric graphics. In case that’s not enough, we also offer point of purchase displays, flags, kiosks, table toppers and much more! No matter what studio you go to, we’ll make sure we can achieve the ideal version of your next pop up trade show display. We aim to be a trusted extension of your marketing team that you can rely on for many projects to come. Contact us now to find out more about what we can do for you! We life the service and the people!! Ryan is great to work with! Very responsive and listened to what we needed. Highly recommend them for you graphics projects!